Evergreen Essence Essential Oil is grounding for the body and mind. Bring holiday cheer to your home year round! The Native Americans have used all of the parts of the Evergreen Trees for medicinal, spiritual and practical purposes. They trees were used to build homes and the bark, heartwood, needles and branches were used to support a healthy body. Evergreens are also considered a very important part of spiritual rituals and ceremonies. This blend is a harmony of all the properties of the individual trees. It is an orchestra of energies combining to provide strength, support, clarity and connection. As I do receive new information and testimonials for Evergreen Essence Essential Oil, they will be added to this page. So check back frequently so you don’t miss a thing! Please read below for more information on Evergreen Essence Oil. It will tell you how to use it and what to use it for. It will also provide you with some suggestions, safety precautions for you and your pet! Want to Purchase Therapeutic Evergreen Essence Essential Oil? Go to the Oil Shop! Buy Evergreen Essence Oil Here! 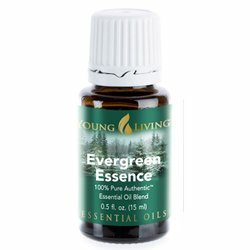 What is in Evergreen Essence Essential Oil Blend? Idaho Blue Spruce Essential Oil (Picea Pungens) Contains high content of alpha-pinene. Add it to your bath to relax both mind and body. This oil is harvested from Young Livings Highland Flats Tree Farm in Naples, Idaho and distilled at their St. Maries Farm. It has a high percentage of d-limonene as well. Western Red Cedar Essential Oil (Thuja plicata) releases stagnant heart energy. Red Fir Essential Oil (Abies magnifica) – Also a very tall tree, the young tree has a greyish bark and the mature tree transforms into an orange-reddish bark. It is a cousin of White Fir; Red Fir grows at much higher elevations and provides much needed food and shelter for animals in this niche. It has silvery appearance and is referred to as Silver Tip Fir. Opens the higher chakras to bring clarity and connection. Black Pine Essential Oil (Pinus nigra) - Contains over 85% alpha-pinene. Energetically a cleansing oil. Pinyon Pine Essential Oil (Pinus edulis) – It has a fruity aroma and is very soft energetically. It contains a high amount of esters which are known for their balancing and calming properties. The seeds are edible and have provided food for people and animals for many years. Its energy is soft, supportive and nourishing. Lodgepole Pine Essential Oil (Pinus contorta) – This is a tall and slender tree which was used to make teepees, framing and other buildings. Lodgepole seeds contained in the cones are released by the heat of fire. This is the oil of transformation and change. Ponderosa Pine Essential Oil (Pinus ponderosa)–It is one of the tallest conifer trees and lives up to 600 years. Spiritually and emotionally it provides clarity and strength through resilience. Other conifer oils also may be present in this blend depending on the season and harvest. What are the Documented Uses for Evergreen Essence Essential Oil? May support a healthy respiratory system. Grounding and connection. What is the Aromatic Effect on the Mind? Grounding and calming. What is the Spiritual and Emotional Influence? Evergreen Essence Essential Oil is a blend of all the notes in a melody that combine in harmony. When you use this oil you are instantly transported to a forest with all the trees that speak to you wherever you are in your path. I also feel the energy of the forest animals that use the evergreens for shelter and food. I feel as I am wrapped in a warm blanket and I am reminded that I too have a place in this forest. This oil will give you clarity on the soul traits that have been suppressed and need your attention as it promotes harmony on the spiritual, emotional and mental planes. 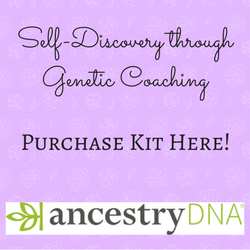 It provides gentle strength, support, clarity and connection. Use for protection, in lieu of or in addition to White Angelica...the animals love this oil! What Chakra is Affected? Aligns and affects all of the chakras. Opens the solar plexus, heart, throat and crown chakras. Yes the animals really love this oil especially the dogs and horses. Use as an oil of protection. Note on Animals: Certain oils can be very toxic to cats especially when not using therapeutic grade oils. Citrus products and oils in particular when using poor grade oils. Please consult your vet if you are not sure about applying any essential oil to your pet. Repeated use could result in skin irritation or contact sensitization (dilution is recommended). Add some aroma to your fireplace or pit. Place a few drops on a stick and put it in the fire. Or place it on some pine cones and make a wonderful smelling holiday display! Add some Lemon oil for extra refreshing qualities. Diffuse or make a little spritz!